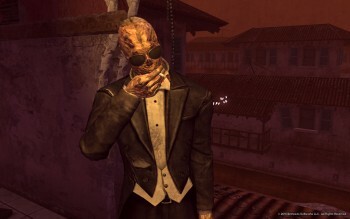 Dead Money, the first DLC release for Fallout: New Vegas, is coming to the PC and PlayStation 3, and three more add-ons are also on the way. Okay, it's not exactly an Earth-shattering surprise that the "Xbox 360-exclusive" Dead Money is making its way to the PC and PS3. I think it's fair to say that most of us expected it to happen sooner or later; I don't understand the driving principles behind timed-exclusive DLC but I do know that Bethesda isn't about to shoot itself in the money-making foot by limiting its DLC releases to a single platform. So it is that on February 22, the rest of us will finally have our shot at knocking over the Sierra Madre Casino. Dead Money raises the level cap to 35 which in itself is worth the price of admission, but as Russ Pitts noted in his January review it's also a "near-perfect expansion" that "breaks the style and mechanics of the original game just enough to offer something truly unique." Bethesda also announced that three more DLC releases are planned for New Vegas over the coming months. No details were revealed but this time around, and allowing for the inevitable technical glitches, they'll be released simultaneously on all three platforms. We'll keep you posted!